I would have quite sensitive skin…especially around the neck area after a shave…this stuff works a treat…instantly soothing!! Great products and great value too. Delivered quickly and safely. This stuff is perfect. It’s just the right texture and has a very delicate, very nice smell is good because I persoonally wouldn’t want a strong scent from something like this. It feels very natural, blends into the skins very well leaving no excess or greasy feel. It leaves your face feeling very smooth, well moisturising without being too much, and well protected. I was previously using another Italian brand of aftershave balm which I thought was the bees knees, and which is much more expensive, but this beats it. This is at a very attractive price too for the excellent job it does. This is my new choice for every day use year round. Great product delivered fast. What more could you want. Very nice on the skin, has helped a lot. Lovely smell which doesn’t last too long however. Overall glad I tried it. Super soothing balm, scent is an exact match to the green soap. Goes on nicely not sticky and has great moisturising properties. Whilst I like this product very much, I bought it after buying a bottle of proraso balm some good while ago and running out. Its just not quite as nice as the older type which appears to have been superceded. Dont get me wrong it’s still great but smells different and doesnt feel quite as fresh. Hey ho ! If you’ve never bought it before this won’t matter to you ! Still recommended but only 4 stars from me. Lovely, clean, fresh smell that leaves skin feeling protected throughout the day. This purchase was to replenish my current bottle. I like using this after a shave as it is calming, light, rehydrates the skin and smells great. Love the glass bottle and packaging. It does not clog pores and cause grease and spots but it does need help with a face cream in the very cold months, hence the 4 stars. Fast delivery, good packing and cash back so of course I will return! Hi, I have recently decided to seriously change my shaving habits, as I am a little rigid in my approach to changes in life this was quite an event for me. All the previous equipment and products went in one swoop of my hand, and I started from scratch. 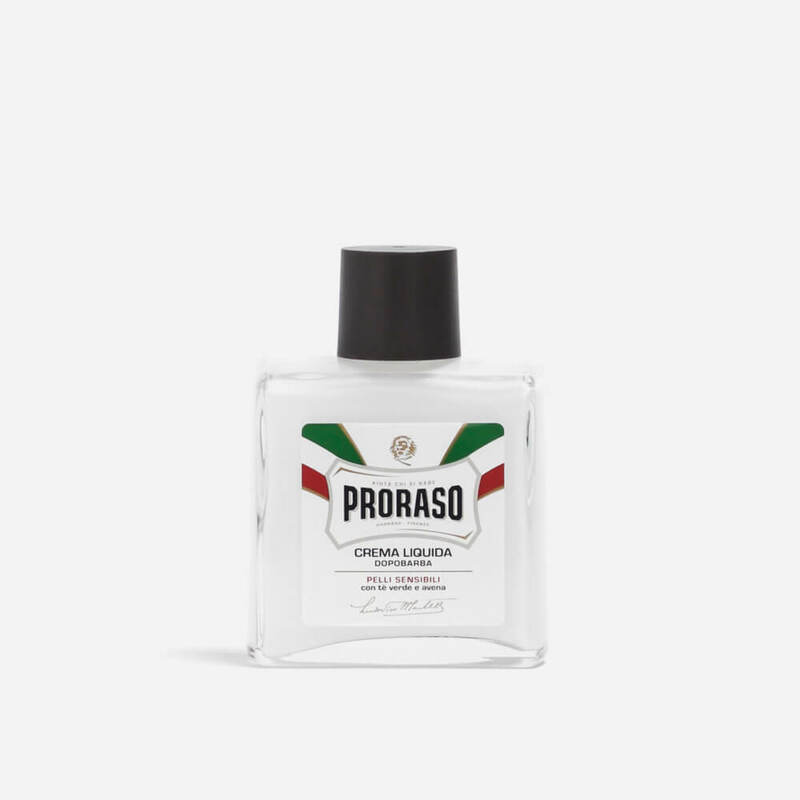 I did a little research online and found that most Proraso products had received good reviews. I was going to order the shaving cream as well as the liquid aftershave from Shave Lounge but unfortunately only the liquid cream after shave was in stock. What a change it has made! No longer do I have to suffer the stinging of an alcohol based product, it has also an almost undetectable delicate fragrance which I find just right for using an eau de toilette. The cream, apart from being very soothing also creates a pleasant supple feel when applied which lasts all day, full marks for this product and full marks for Shave Lounge who made no charge for purchase on such a small item. They are on my lists for the future.